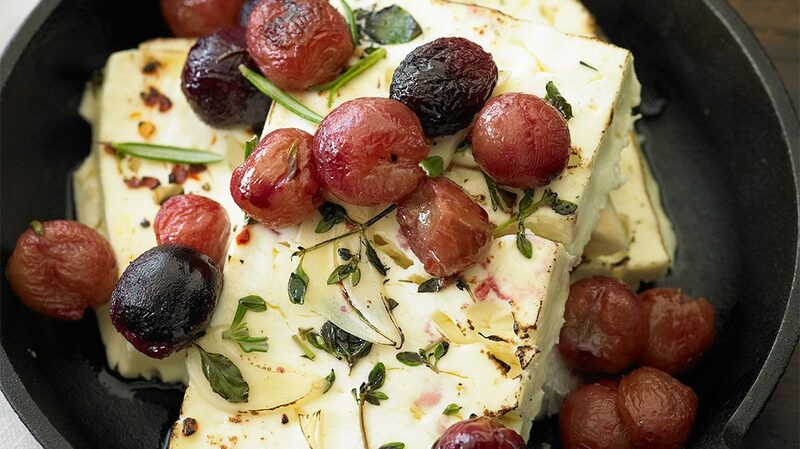 Delight your palate with this duo of rich, buttery fresh mozzarella paired with crisp, juicy Jasmine Vineyards grapes. On a serving plate or platter, drizzle some high-quality extra virgin olive oil and aged balsamic vinegar. Sprinkle with freshly ground black pepper. 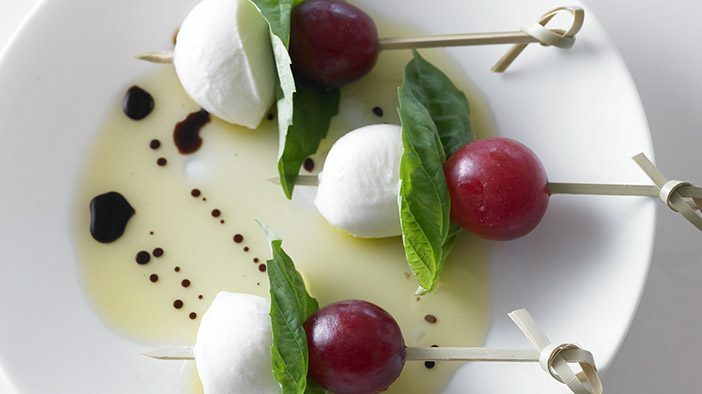 To assemble skewers: On each large, decorative bamboo toothpick, skewer one red grape, one small leaf of basil and one small ball of fresh mozzarella. Lay the skewers on the serving platter and sprinkle with a dash of sea salt. 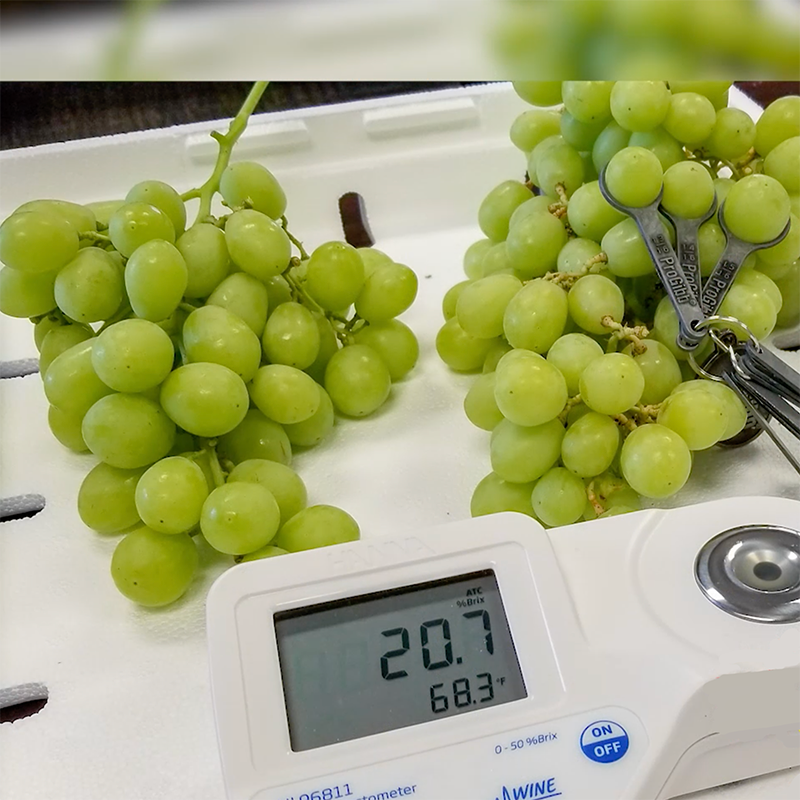 Nutritional analysis per skewer: Calories 44; Protein 2.5 g; Carbohydrate 1 g; Fat 3 g; 64% Calories from Fat; Cholesterol 11 mg; Sodium 20 mg; Fiber .07 g.